Just 2 years ago today, I quit smoking. I woke up on April 7th, 2014 and lit my last cigarette as my girlfriend and I had decided that when the pack was empty, we were done. Everything on this list had 2 things in common, they were all recommended by doctors and Internet help groups, yet none of them worked. I had been “trying to quit” since my early 20’s, not because I actually wanted to quit, but because I had been made to feel bad about smoking. Cigarette packs in England have the words “Smoking Kills” in big letters on the front – they want to make sure you understand what you are doing every time you light up. It was only after I lost my mother to cancer, caused by smoking, that I became serious about not ending up the same way. From realizing she was ill to being put in her casket was less than a 3 month journey for us, one that I vowed not to put my family through in 10 years time. On our quit day, we had been vaping for 3 months. We were dual using as we attempted to steel ourselves for the massive leap to being cigarette free. I remembered all the times I tried and failed, and I remember a therapist telling me that I should probably not try to quit for fear of me seriously hurting someone (this actually happened when I was in my mid twenties and found out that without nicotine and caffeine I had anger issues), basically my heart was in my throat because of fear. The first day, I craved for cigarettes. Not because I needed the nicotine (I was vaping 24 mg/ml e-liquid), but because it felt as though someone was keeping me away from my best friend. The next day, the exact same thing. Every time I felt like I needed a cigarette, I picked up my MVP V2 and hit it until the need subsided. By day 3 I realized that I was getting all the nicotine I needed, so I could finally let go of the idea of needing to smoke. I thought I was vaping too much to compensate because I was starting to feel sick to my stomach and had headaches — it wasn’t until after the fact that I realized that this was my body cleansing itself of ALL THE OTHER chemicals that they put in cigarettes to keep you hooked. Now, it is 2 years down the line. Cigarettes are a distant memory, and in all honesty I don’t need to vape anymore. On an average day, I switch between 0 and 3 mg/ml depending on my mood, and my fiancée does the same. The main reason I still vape is because I enjoy it and it starts conversations with people who are still smoking. I will not try to convince anyone to quit smoking who does not wish to quit, I have been there and know it is not going to work. If you want to quit smoking and are looking for advice and encouragement, I and hundreds of thousands of other vapers are here to help you along. Vaping IS NOT smoking, my lungs are as healthy now as a person who never smoked. Regardless of the things the media want you to believe, one will save your life and the other WILL kill you. I am sharing this story today not only to give myself and my fiancée a cyber high 5 for getting away from cigarettes, but also to hopefully serve as inspiration for someone who may be about to embark on a journey similar to ours. Just remember, you can achieve anything in life, you just have to want it. Daniel, my story is very close to yours. I smoked from the age of 16 and was up to two packs a day (don’t tell anyone my age by 46). On August 7, 2015 (249 days ago) I was rushed to the ER with breathing difficulties and hospitalized. I was diagnosed with COPD and told that if I didn’t stop smoking I would die. It wasn’t a joke. My oxygen levels were pathetic, my pulmonary testing showing horrible results. When I left the hospital, I had my mother drive me straight to my local vape shop (the one I’d passed by for two years laughing at the ridiculousness of vaping actually working) and got my first set up. I haven’t touched a cigarette since that day. 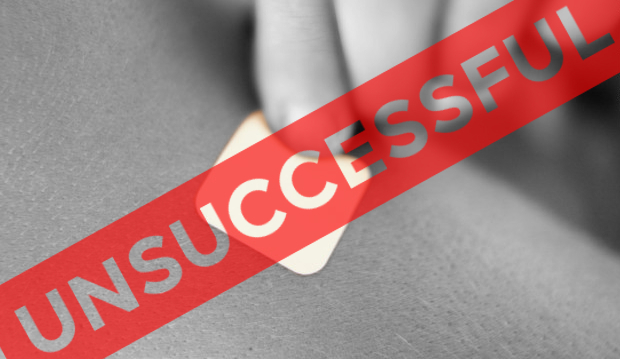 I’d tried hypnosis, Chantix, cold turkey, and that stupid nicotine patch… it was all crap. The hand to mouth of vaping, and the tricking of my brain into thinking I was smoking made this work for me. These days? I can FINALLY sing again, walk a flight of stairs without getting winded, don’t wake up four or five times a night coughing my head off, and don’t get Bronchitis every two months. So Vaping WORKS! 29,244 / 731 = two packs a day..! This is very inspiring! I want to quit smoking so I started vaping. I still feel cravings for cigarette from time to time but so far I was able to manage it. I hope someday I can totally kick my habit and stop vaping too.